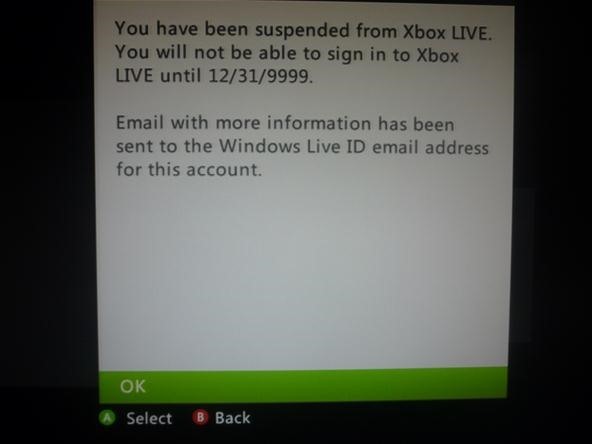 There was a huge ban wave recently on Xbox Live. In the unfortunate event that you decided to do something against Microsoft policy, and have consequently gotten yourself banned from Xbox Live, you may have come to the realization that doing whatever got you banned from Xbox Live in the first place was not worth the risk. The image below is an actual image of my account being banned. If you pay for any of the extra services to use with Live, you will be in an even worse predicament. Who wants to waste the 8 bucks a month on Netflix and Hulu if you can't even use the service to its fullest extent? Some of the services are only available to stream in HD over XBL, so if you want to use them on your computer, you will be missing out on the full experience. In this Null Byte, I'm going to show you how we can exploit the Microsoft ban system and get our accounts unbanned. This won't work for everyone, but it will work for most people. You just need a few things. 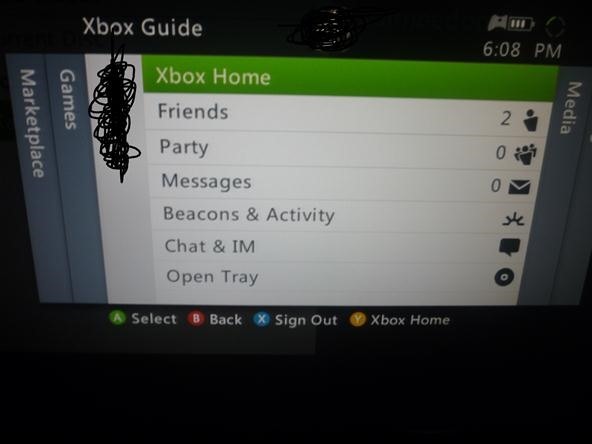 First, we need to log into our XBL account from the website and get everything ready. Sign into the banned account via the Xbox website. Edit your motto, bio or whatever you choose. Replace the motto with any swear word, or combo of swear words. You can get creative if you want. Now we need to get our group of buddies to help us out in a last-ditch effort to restore our account. In order for this to work, we must have our friends all gang up and report our account for foul language. After enough people reporting you, the bot that controls short-term bans on Xbox Live will ban your account for just a few short weeks. When this happens, it causes a glitch on the XBL servers and it will unban your account after the ban-period for having foul language. Pretty clever, eh? I can vouch that it has worked for more than just myself, but I've also heard that it doesn't work for some users. The issue is likely from Microsoft's end, so if you don't get your account back, I feel terrible for you and wish you the best of luck in resolving this. As a last resort, you can always try to social engineer someone over the phone, and play dumb. You can also call and ask "Is the reason I am banned beause my DVD drive is broken?" because MS falsely bans quite often for uses with a malfunctioning DVD tray. Call of Duty:MW2 ad: "Everybody's Doing It"
Personally i do not like consoles all that much...Too restrictive in terms of OS, customization, content and so on... That and kid's these days are too damn cruel... When I see my little bro play tekken on ps3, everytime he wins, he gets bombarded with hatemail.. And not the nice kind..
HELP! Whenever I go to edit my profile it just takes me to the "account banned" page. What am I doing wrong?? I'm not sure, it lets other people ;d.
Didn't work for me :( I really want my account unbanned too. I did get the email about account being suspended tho. Same thing. The only things that I did wrong were setting my zone to "None" and my watermark to a 10 through Modio. They should've given me a proper warning, because who reads the Code of Conduct & Policy Terms in the first place? I just got banned last night & I'm using a temporary Silver account (separate, my primary account was perma-banned) until I get this all sorted out. Any tips? When you call, do not suggest that you have a bad dvd drive. No one (except a complete idiot) is going to fall for that. They've heard it a million and 3 times. So instead, you bait them into assuming the dvd drive is bad. First you complain (complain nicely), then you act super frustrated, as the call goes on and they continue to try and help you resolve the issue (this is why you complain nicely) you try things, you try and come up with ideas. Eventually, you're going to say something to the extent of, "Ugh, this is why I should have purchased a Wii or a PS3, first my dvd tray starts sticking and causing problems, THEN I get banned from XBL for NO REASON!" At this point you should sound slightly angry, but not like "OH MAN THIS IS SO YOUR FAULT I HOPE YOU DIE!" angry. The employee will more than likely hear the queue, they KNOW the system bans for DVD drive issues, and they will come to the conclusion on their own. Hmmm this customer seems reasonably upset, but isn't a jerk. This customer is trying REALLY hard to figure out and resolve the issue. This customer's issue REALLY started when the dvd tray had some issues, but the customer didn't BLAME the dvd tray? This customer's DVD tray probably flagged them, I should unban them and make the company look good. Good luck and sorry for the long rant. Does the DVD tray method still work? Hey guys whats up.Hows the server going! could you help me? like i got banned because i signed into CoD's webpage and got banned for... COMMERCIAL REASONS!?!?!? lol i wanted to sue treyarch for getting me banned. i had all you could have a paid membership for: netflix, crackle, zune etc. so anyway... could you or somebody help me? btw money is being drained out of bank account at a rate of about $50/week. Microsoft are just becoming complete assholes >.< ! (Excuse the language but it's true) I just got banned for life cause I changed the color of my avatars hair using horizon! That's it! Hair color change. Like are you fcking with me right now?!? hey u mind lending me some of your friends to help me with this method? sorry idk wtf im doing with all this... and they did this to me at the worst time of my life... seriously a man with a deep accent called me right before i went in the er that night for heart conditions. What number would I call for this?